Mecklenburg Vorpommern is used on the Rostock-Trelleborg route, with room for 600 passengers and 445 vehicles. On board you will find numerous amenities like a cafeteria, restaurant offering cold and hot food, duty free shop and a bar. Please Note: Whilst we have taken great care in making our Mecklenburg Vorpommern guide as accurate as possible, onboard facilities, services and entertainment may vary depending on the date and time of year that you travel, facilities mentioned may change without notification and ferry companies reserve the right to operate vessels other than those mentioned at time of booking without prior notification. Simple and rational. We have travelled in both directions and have nothing to complain about. The beds are better than most other ferries. It was my first time on board with car since I was 10. So first experience where I was driving. We were in two, me and my girlfriend, reach Trellerborg was easy, also approach the port and boarding. Ferry was not a problem. It was frighteningly punctual. Left the port at 15:05 and arrived in Rostock at 21:05. We also took a cabin, I recommend to all to do the same, because spaces on board are a little bit reduced and they turn into refugee camp as soon as the ship leave the port. Good refectory service and duty free. The ferry is stable but of course you can feel a bit of turbulence. Boarding and landing are fast and secure, is all in order and not in rush like the north style. Everything ok. First I took a nap on the sun deck (it was really nice weather), then I had dinner in the cafeteria and the last few hours we survived in the relax room. It was a pleasant journey. 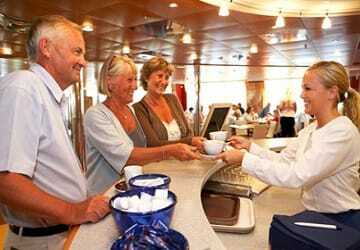 "Great crossing, the service in all areas where also great." Only positive experiences from the trip. Nice food, no queues. Nice air style seats in a lounge with a nice view of the sea. Good opportunities to relax and get some sleep. we loved it and will do it again. "Slow start but better after that." We were able to go through to the queue for boarding the ferry early which was good but we had to wait for a long time before we were able to board the ferry. We were excited about our de luxe cabin, and it was ok but there was no window with a view forward. Took time to unload the ferry as well, maybe Stena Line aren't the only ones to blame for this but it was a bit annoyong in the morning when all we wanted to do was continue our joruney. 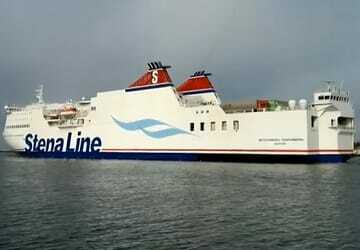 "Much satisfaction from my trip"
Stena line Skåne is one of the best ferries I have ever used. Facilities better than expected. Ferries have definitely got better over the years. "TR-RO with Stena Line "
Good day, the cabins 4 bed were very close also the air was very hot more than 25 C was therefore not possible to sleep. Too bad I've already experienced differently. Otherwise (except for the wind sarkem) i.o. "Car ferry very convenient "
We had a very pleasant stay, good service when parking and at the entry and exit. "not used unfortunately ferry "
Due to the weather conditions in Sweden and our schedule we could not use the ferry and then drove to Puttgarden. was uncomplicated and quickly. ... but, thanks for asking .. now are the 67Euro crossing expire .... shame will book in the future only refundable ferries ..